With BB Gourmet it is all about concept. Well, three concepts and therefore three different spaces in Porto. The motto is the same for the three: faster or slower, gourmet food appealing to the palate. BB Gourmet Bull & Bear is ideal for a tasting experience: perfect for romantic dinners and business meetings, this restaurant stands out for its contemporary interpretation of traditional food. For both situations, the menu “Tasting for 2” is a good option, at a price of 35€/person (water/soda and coffee/tea included; wine not included) for a four-course experience. The cuisine is really refined: among the appetizers, the grilled scallop with lemon risotto is not to be missed; as for the entrées, try the moist veal steak with tomato and tarragon mousse – you can’t go wrong with this; save room for dessert because the mango, coconut and white chocolate “trilogy” is to die for. They also serve a gorgeous brunch: Saturdays, Sundays and holidays, from 12pm to 4 pm, 14€/person; it consists of bread, jam, butter, tea, fruit salad, juice, a variety of appetizers, pancakes and eggs Benedict, scrambled eggs with asparagus or cheese and herbs omelet with fries or salad. BB Gourmet Bull & Bear decoration is really nice! BB Gourmet Maiorca is a beautifully decorated space, located in a residential area a few steps from Boavista avenue. It is ideal for breakfast or a 5 o’clock tea with scones. They also have an innovative option, the “five minutes gourmet food” that you can choose to have in the restaurant, at your office – taking a lunch box (“marmite”) – or taking a ”traiteur” home (the food is good to be consumed up to 30 days). Their pastry is also of great quality. Another interesting feature is the gourmet store adjacent to the restaurant room: wide variety, a feast to the eyes. 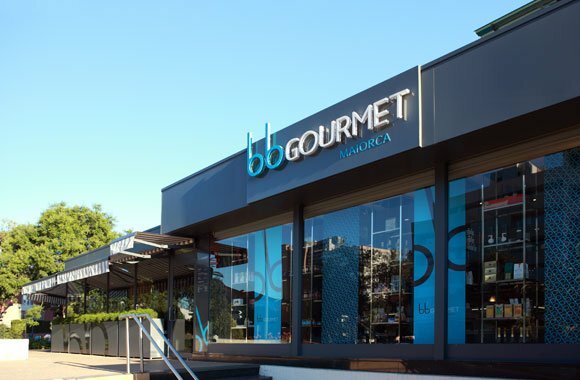 The other one is BB Gourmet Península, located in a boutique centre with the same name, where you will find top fashion brands and whose style will relax you, even if you are in need for a quick meal. Fast meal, gourmet taste: this is the place. My best recommendation: try at least one of the three, you won’t regret it. A perfect plan is to go for a sightseeing tour of Porto, followed by a visit of the Serralves Gardens and Modern Art Museum and then, go for dinner at BB Gourmet.